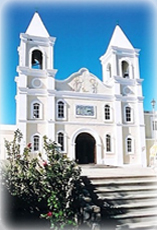 San Jose del Cabo was founded in 1730, in despite of its rapid growth it still conserves that tranquility that characterizes the town and its slow pace of life. In Cabo San Lucas there are so many things to do and see aboard a Cabo San Lucas fishing charterlike cruising and deep- sea sportfishing, and Scuba diving. The town has a typical Mexican zocalo (town square) complete with a wrought iron bandstand and shaded benches. Nearby there is the San Jose Church, built as an early mission and the City Hall, all contributing to the beauty of this town with their colonial architecture. The downtown area is better discovered by foot because of the many inviting shops that are located in historical buildings along the narrow streets. The cuisine offered by its restaurants is unique in every one and its served in particular atmospheres. To mention some of them, there is Damiana the most famous one featuring Mexican and Continental cuisine served on an elegant garden patio of an 18th century mansion. Other popular spots include Pietro’s, Pescaderia Restaurant and Asadero Los Candiles. Accommodations range from luxury hotels resorts to modest ones. However, the resorts cover most of the seaside corridor San Jose del Cabo-Cabo San Lucas, incorporating to their backyard the natural surroundings giving them a wonderful beauty. Recreational activities stars from professional golf, tennis, fishing, surfing, diving and almost any water sports that exists. A must visit is the estuary that houses an ecological preserve with over 200 species of birds and Los Cabos Cultural Center. For more information contact the Municipal Tourism Office near the City Hall in downtown or the Fonatur office at the hotel zone entrance to town.